Why Are Colorbond Steel Rainwater Tanks The Best? You are here: Home » Why Slimline? 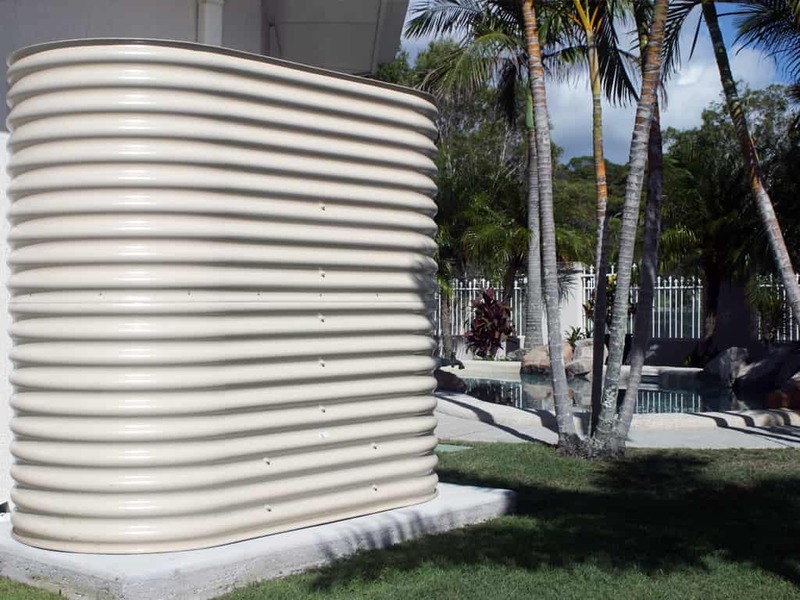 Why Choose A Colorbond Aquaplate Water Tank? 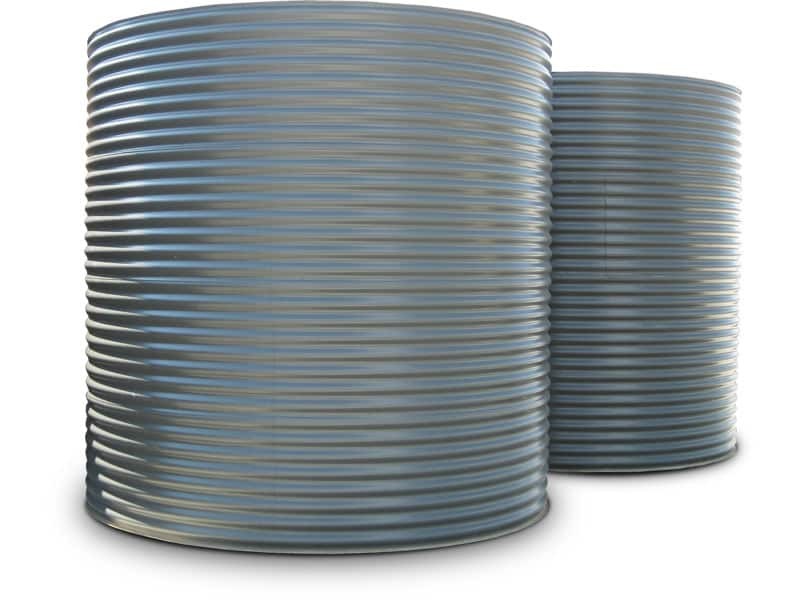 Aquaplate steel tanks are made from Bluescope corrugated Colorbond steel that has a food grade polymer coating attached to the inside. 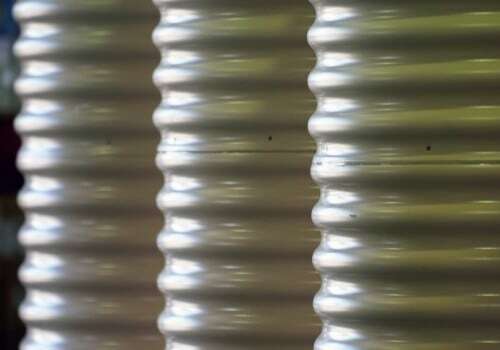 This basically makes the tank corrosion proof, which is why there is such a long warranty on our tanks. 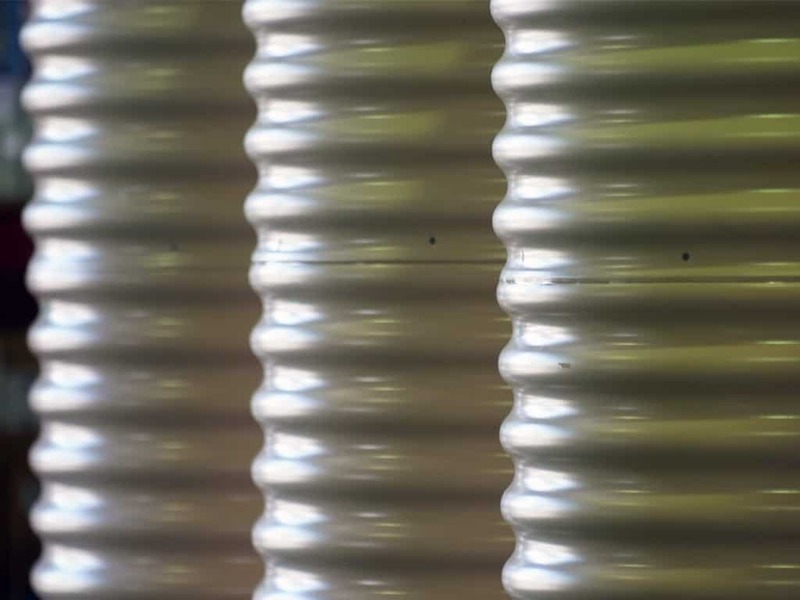 Along with the superior strength of steel, is the adaptability that Colorbond tanks can be made to almost any shape & size to fit those awkward spots... slimline shape, round or square. For those who are interested - the annual environmental burden of a water tank made from Aquaplate is equivalent to one 100W light bulb switched on for a week. The tanks are also 100% recyclable making them more enviro-friendly than other materials. 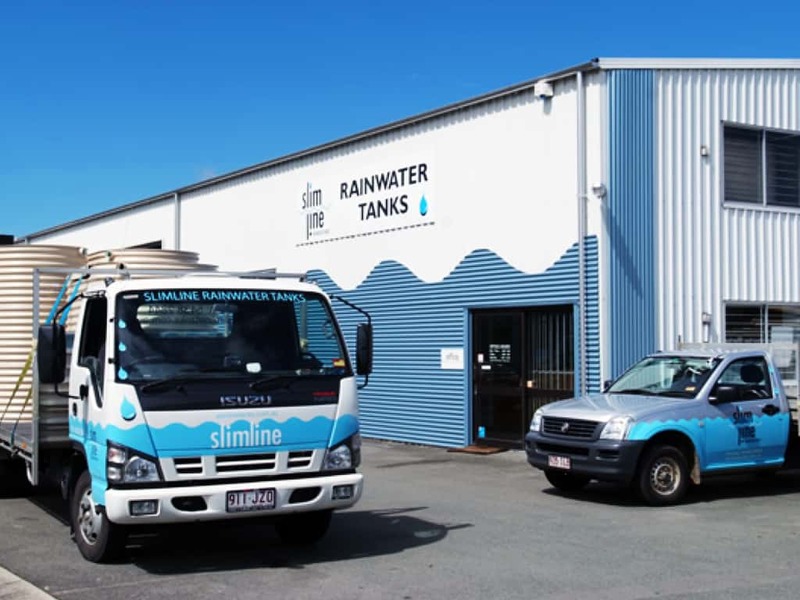 Why choose Slimline Rainwater Tanks? 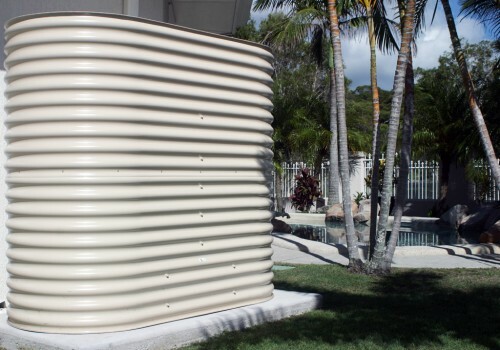 Slimline Rainwater Tanks are manufactured using Colorbond® Aquaplate®. Some other manufacturers use galvanised steel and spray paint their tanks. Tanks made with genuine prepainted Colorbond are a far superior product with a long lasting finish backed by the Bluescope® warranty. This is the most reliable method of construction as the tank is strengthened with stainless steel reinforcement. Many other cheaper methods are used, but ours is the original, tried, tested, certified and guaranteed solution. 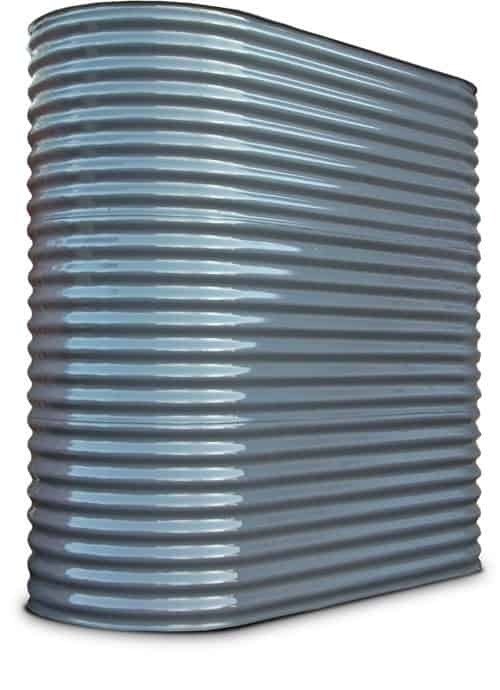 Slimline Rainwater Tanks carry a 20 Year Warranty on BlueScope Aquaplate® steel and our own manufacturers warranty. Every Slimline Rainwater Tank is issued a serial number which may be traced back to the tank builder and construction date for quality assurance purposes. 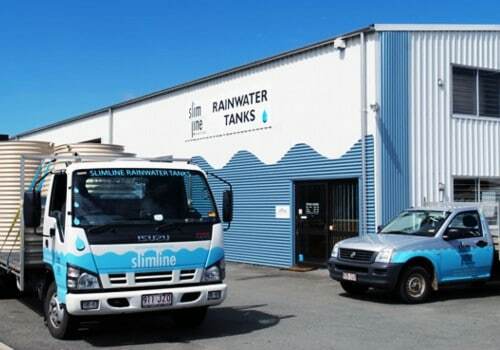 Finally, we are a family-owned business, based in Victoria, committed to supplying quality tanks all over the state and with over 30 years manufacturing experience, we believe we’re experts in our field. 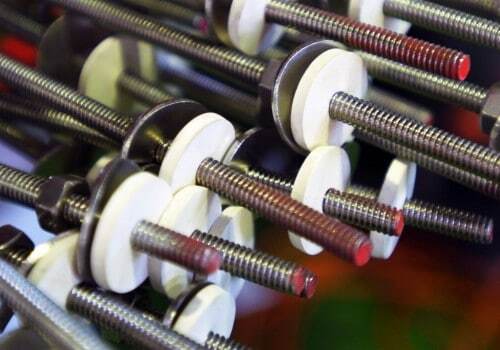 We very proudly stand behind our product and give our personal commitment to quality and customer satisfaction. The size tank you need depends on a lot of factors including water usage, available catchment area, number of users and the availability of mains water. Below are three typical scenarios, assuming that the property has mains water available. If the property is rural with no water supplied, then we would recommend a minimum of 90000 Litres to maintain an average family. Don’t hesitate to contact us with your circumstances for specific advise. Generous government rebates are available for purchasing a tank over 2000 Litres and connecting it into your house. Whole House Usage This requires a minimum of 10000 - 20000 Litres. This can be connected to your whole house to provide zero reliance from mains water. Great for the environmental conscious person who also wants to save on water bills. Part House Supply To connect your toilets, washing machine and an outside garden tap to your tank we would recommend 2000 - 5000 Litres. Five Star regulations for new homes require 2000 Litres to be connected to toilets, however anything over this is yours to "splash around" with. Outside Use Only Depending on your scenario, the choice is yours - between 1000 - 20000 Litres. Every 1000 Litres will give you up to 90 minutes water. Great for washing the car or watering the garden whenever you feel like it - we call this "Water Freedom"
What's included in our Tanks?